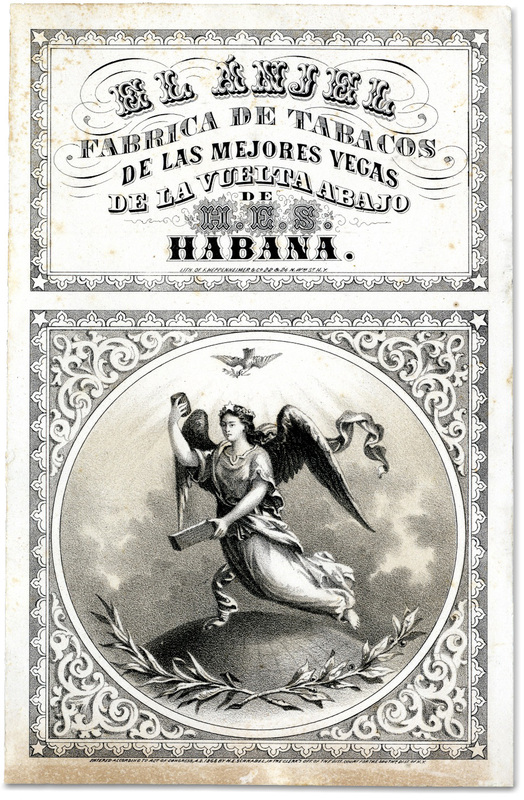 Tobacco label from 1868 for a New York tobacconist. 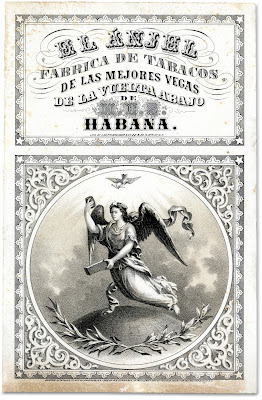 Interesting to find the border echoes an Islamic motif, being that this is a Cuban tobacco product. 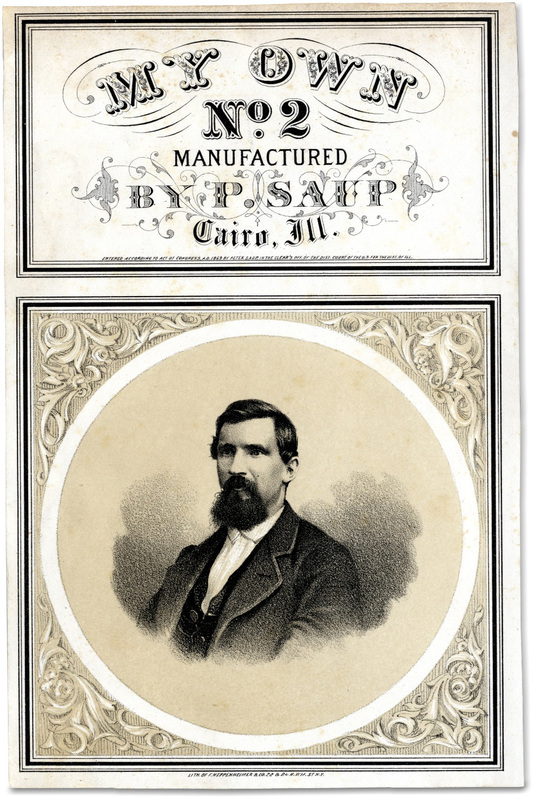 Tobacco label from 1869 for a Cairo, Illinois tobacconist. 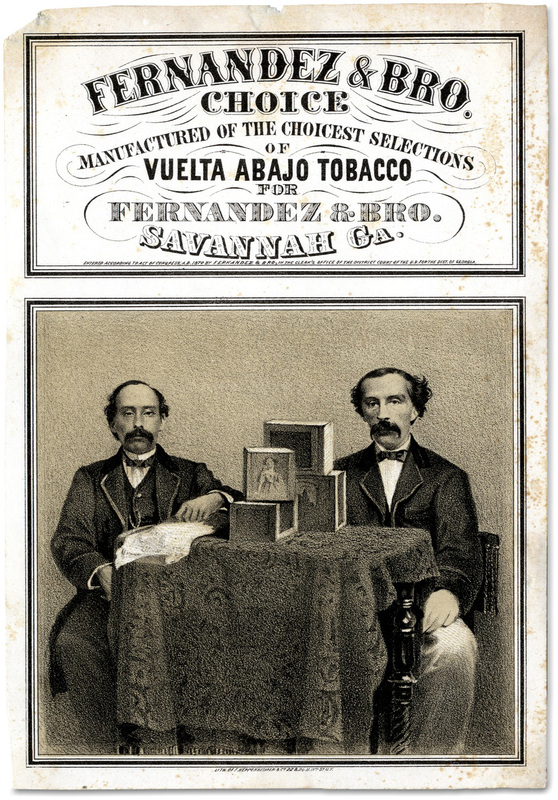 Tobacco label from 1870 for a Savannah, Georgia tobacconist. 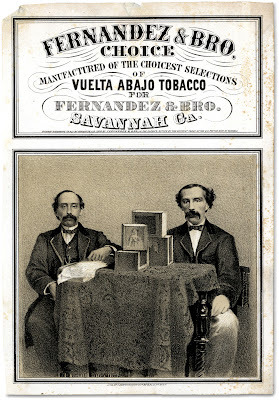 Señor Fernandez & Bro happily display all of their packaged tobacco products. Tobacco label from 1871 for a Lawrence, Kansas tobacconist. 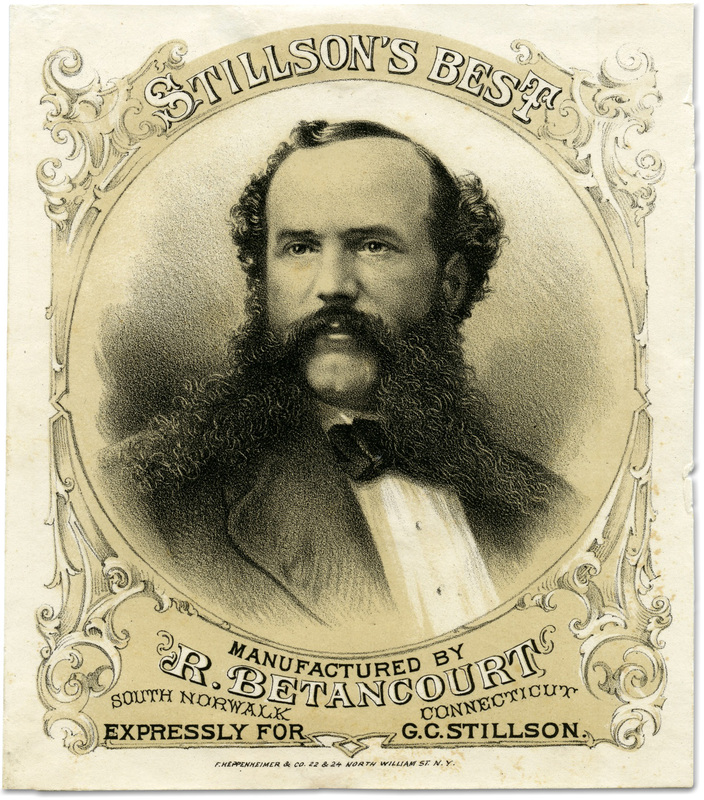 Tobacco label from 1865 for a Connecticut tobacconist. 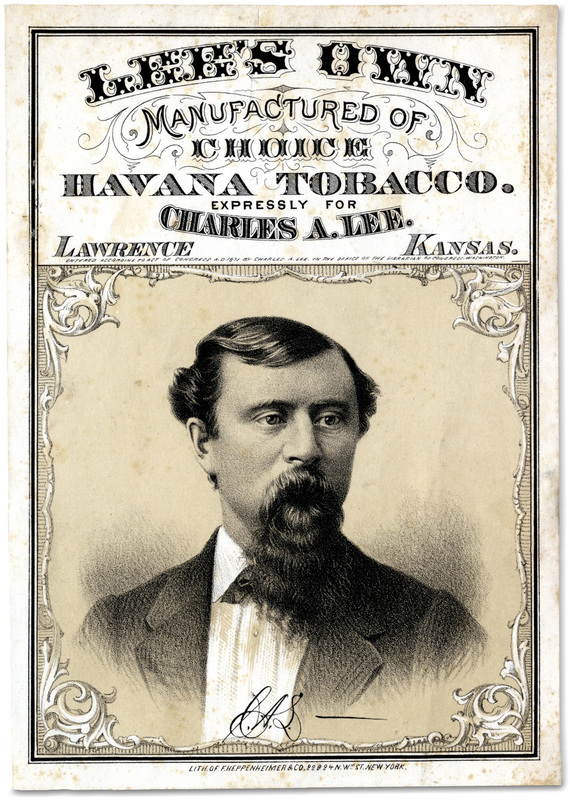 All five of these lovely old tobacco labels are from a collection of the American Antiquarian Society and made available for educational research. 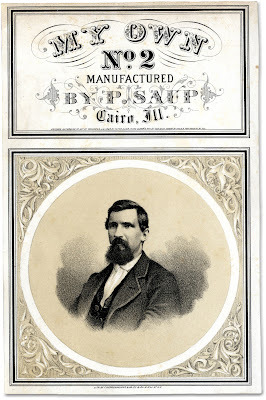 Each are remarkable examples of lithography, lettering and illustration which I have not previously seen.